Who doesn’t love marshmallows, right? It’s a simple treat enjoyed by anyone from young to old. 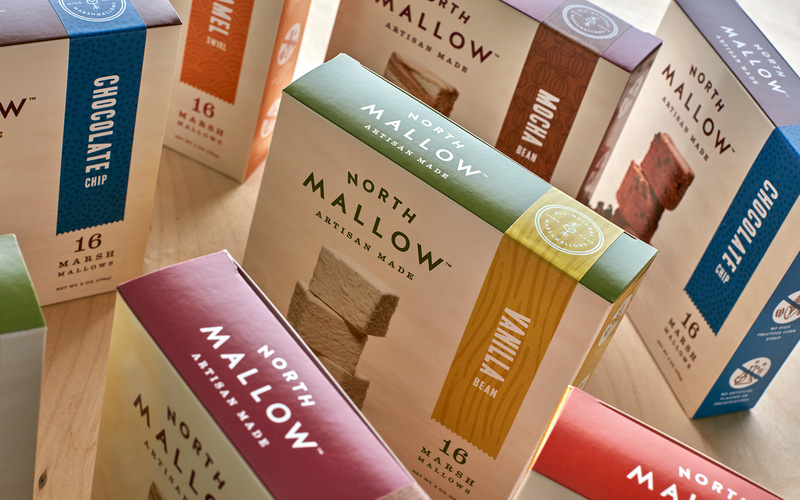 North Mallow began by doing s’more bar catering for weddings and corporate events. 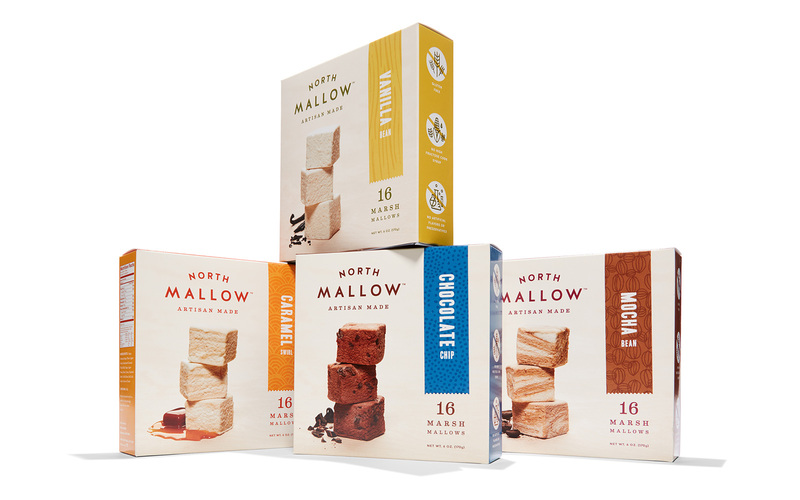 The success of the business created a retail demand for their marshmallows which are homemade and all-natural. The branding and packaging needed to reflect that handmade and natural quality. 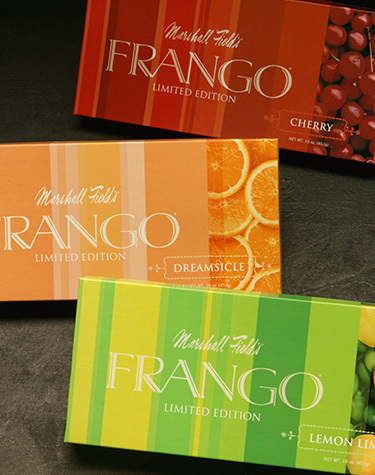 A strong color palette and illustrative interpretations of each of the four flavors, combined with simple photography and a hand-applied flavor label, complete the packaging look and feel. 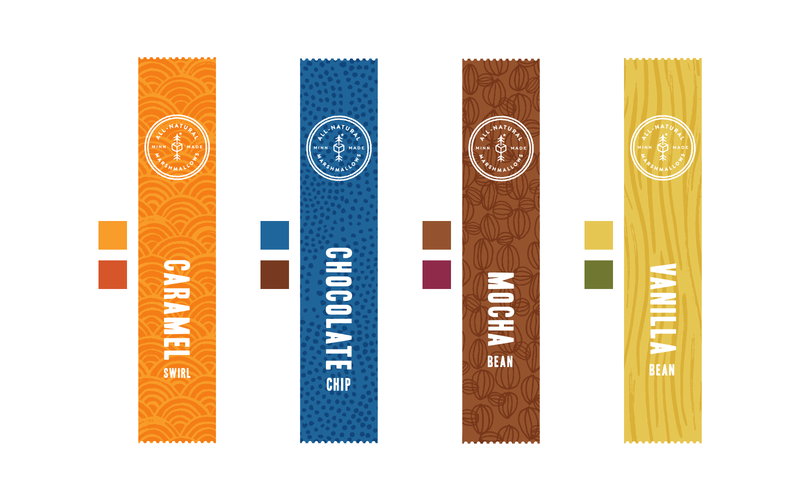 Check out a quick video featuring all four flavors! 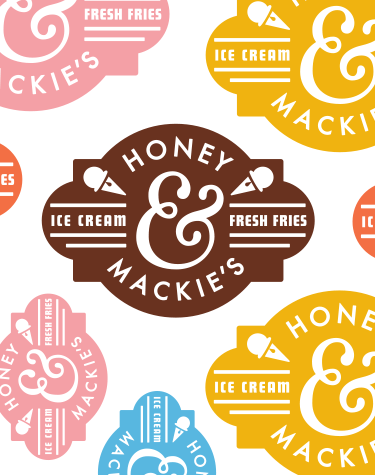 We created a clean brand that feels upscale, yet still approachable. 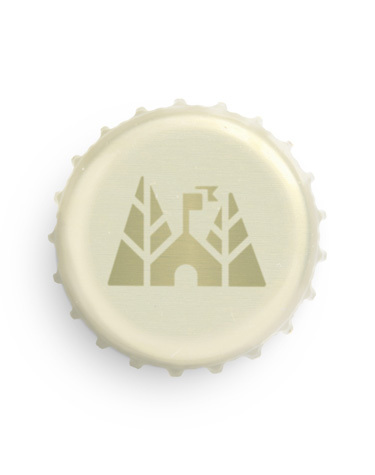 The mark is simple and hardworking, capturing the feeling of going up north and experiencing nature first hand. 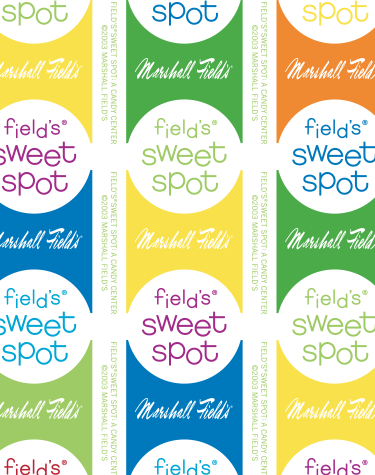 The seal that appears on the label reiterates the company’s Minnesotan roots, featuring a star, tree, marshmallow on a stick, and arrow. 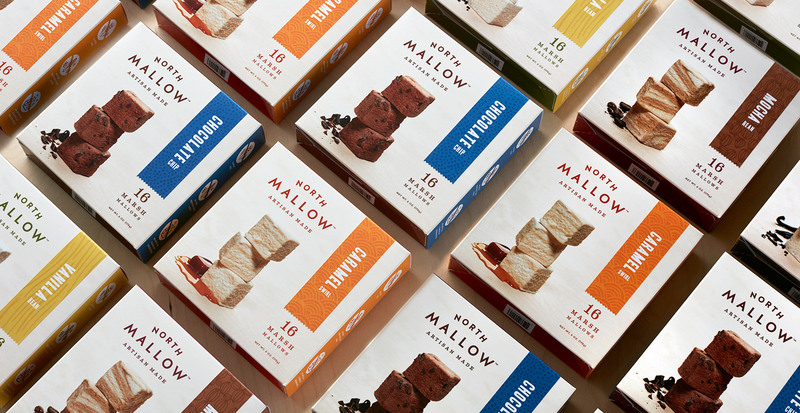 On each package, the colors and patterns evoke each flavor in a fun, playful manner that captures the same joy expressed when cooking with and eating marshmallows. 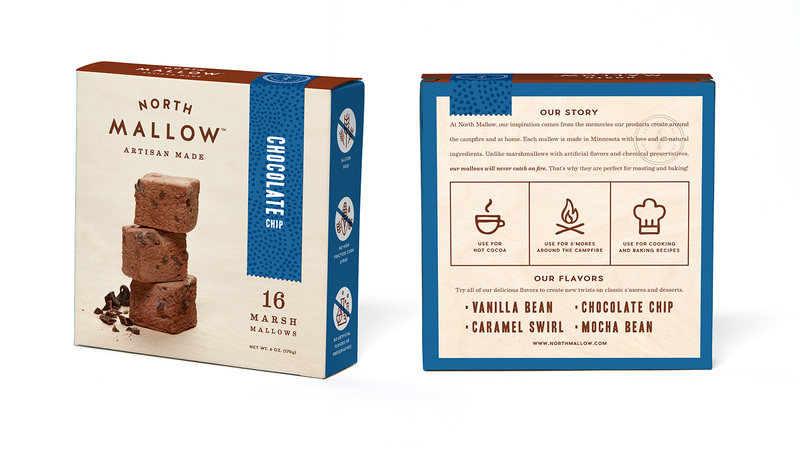 The icons speak to the quality of the marshmallows themselves. 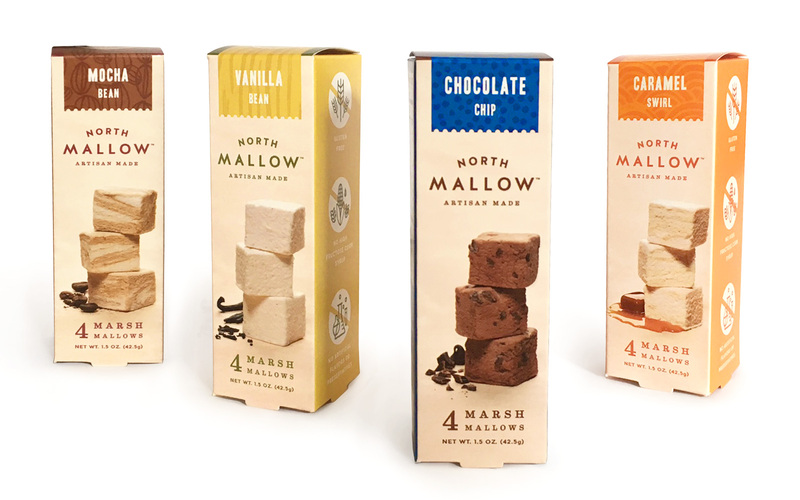 They’re gluten free and contain no high fructose corn syrup, artificial flavors, or preservatives. They’re all-natural and won’t ever catch on fire. 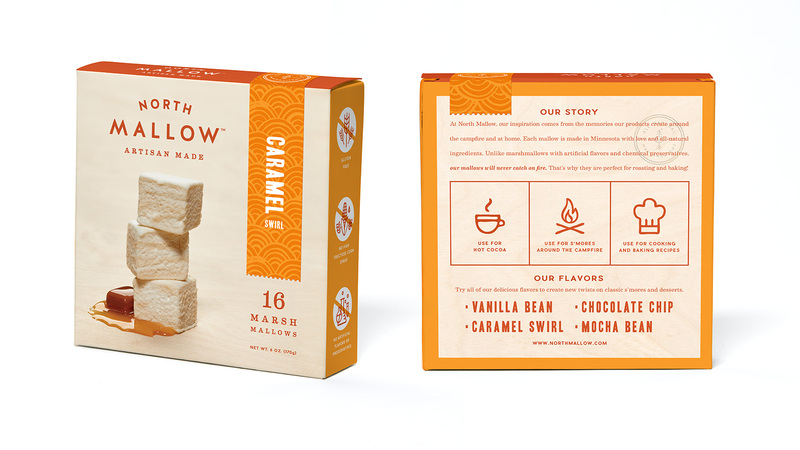 The illustration of spiraling mounds represents the homemade caramel swirled into these vanilla bean mallows. 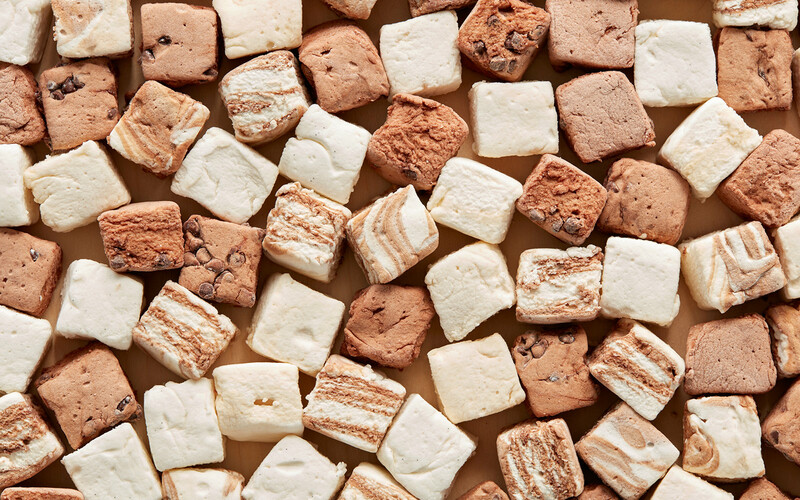 These chocolate marshmallows are filled with mini chocolate chips — a chocoholic’s dream! We focused on abstract concentric dots that burst like the mini chocolate chips found in these marshmallows. 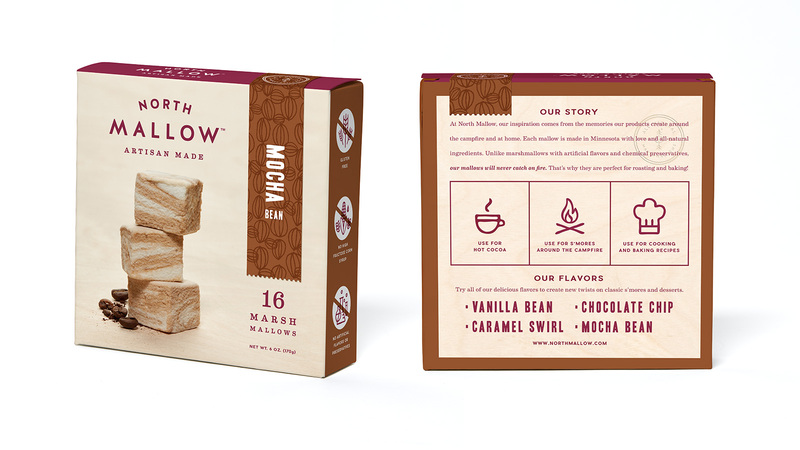 The mocha mallow has brewed espresso in it. No coffee extract or artificial ingredients. Just simple espresso, with a little cocoa to make a smooth mocha. The brown repeating coffee beans reinforce the flavor cue of mocha. 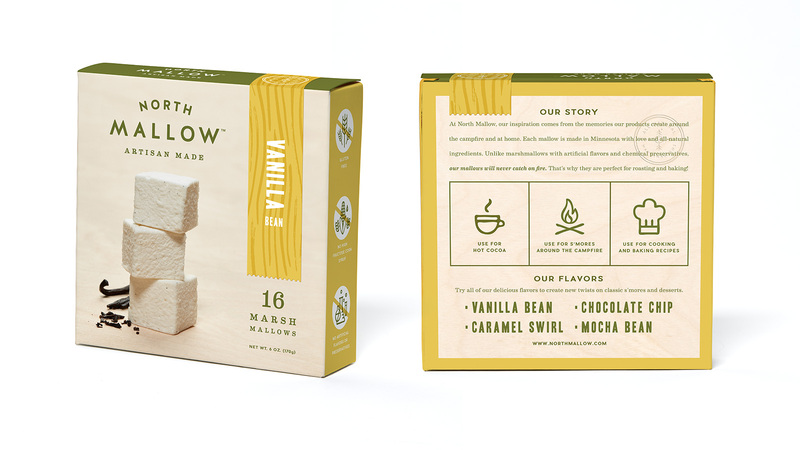 The vanilla bean mallow is made with whole ground vanilla bean, no extracts and makes a favorite campfire tradition. Abstract vanilla bean pods are represented by wavy, dancing lines to depict this classic flavor. 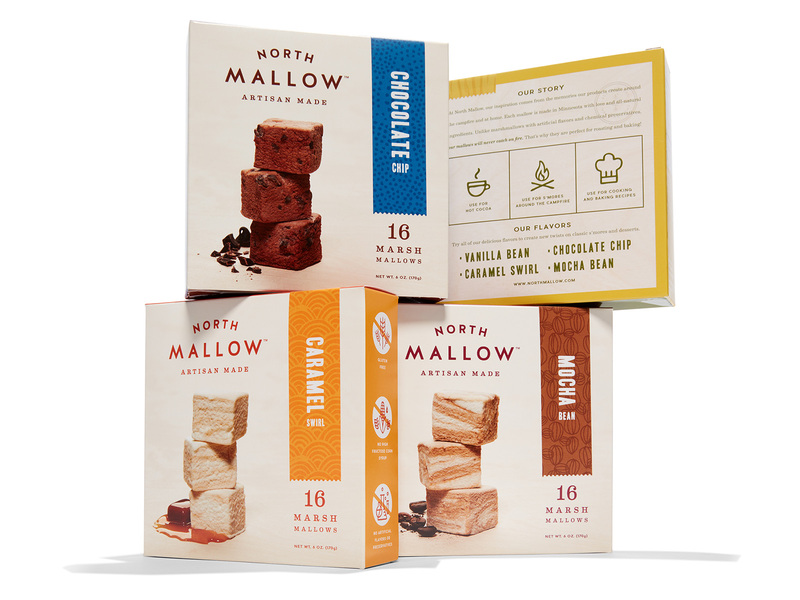 Learn about the s’more bar catering and order marshmallows at northmallow.com. 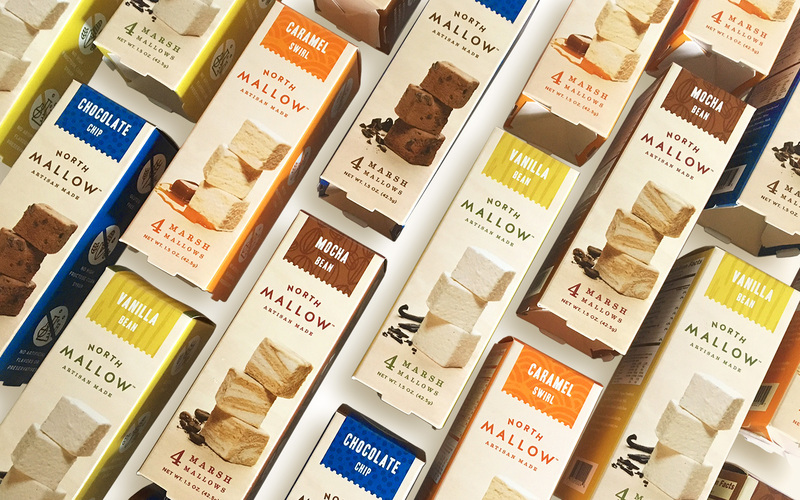 Marshmallow and packaging photography by Todd Hafermann.